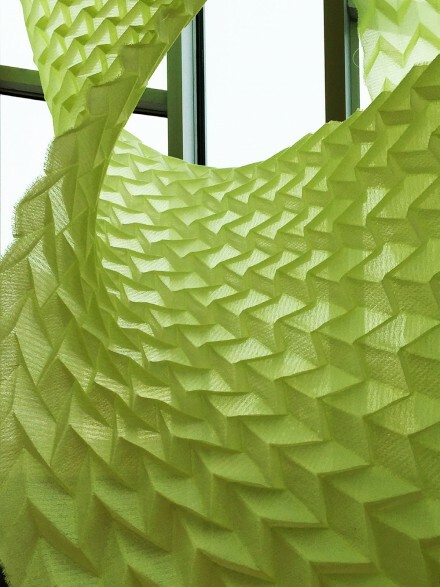 Studio Samira Boon realised an impressive, 5 meters-high textile sun-shading installation for the auditorium of the Di Yuan Gallery in Jiaxing, China. 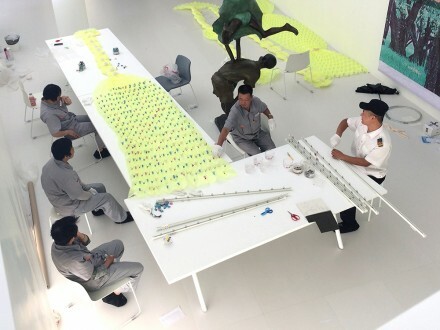 This was the result of a special collaboration with MORE Architecture, who designed the gallery’s building as a part of Jiaxing Island. 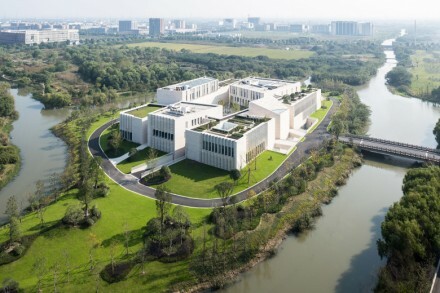 This is a large, mixed-use cultural hub on the fringe of quickly urbanising Jiaxing, a one million-inhabitant city between Shanghai and Hangzhou. 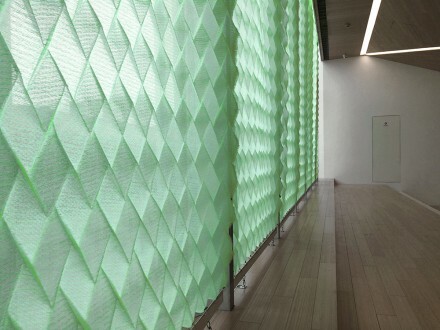 The folded textile structure serves multiple purposes: as a sun control and shading device improving indoor climate and sunlight exposure, as an acoustic element, and as an expressive, decorative structure within the gallery’s auditorium. 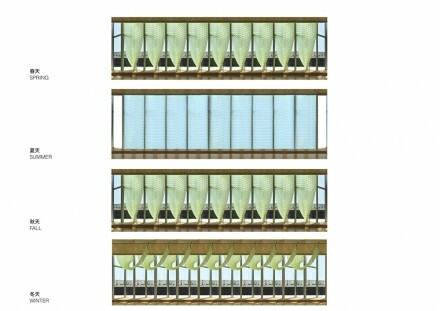 Well-designed sun control and shading devices can dramatically reduce building peak heat gain and cooling requirements and improve the natural lighting quality of building interiors. From this perspective, there was much to gain at the Di Yuan Gallery: the southern orientation of the jagged, rhythmic façade made the sunlight regulation a special challenge. 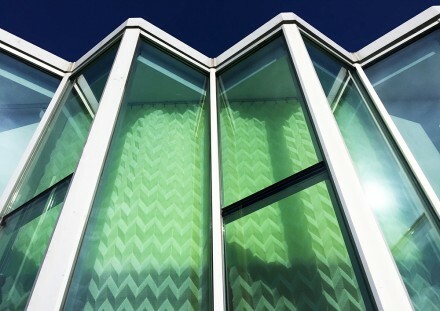 While developing this unique installation, a further challenge was given by the sheer size of the panels. Therefore, a particularly lightweight yarn had to be found. 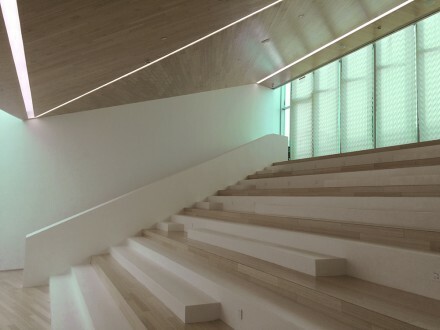 The resulting curved, sculptural configurations not only add an endless variation and adaptability in filtering sunlight, but also enhance the clean and elegant experience of the indoor space of the gallery’s auditorium. 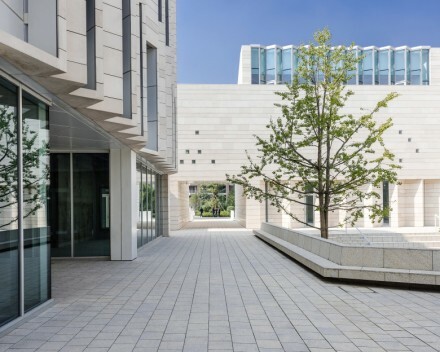 The Di Yuan Gallery is part of Jiaxing Island, an urban village with multi-layered functions and an emphasis on public space. With a size of 16.000 m2, the buildings house a programme of offices, a hotel, short stay apartments, a contemporary art gallery, four restaurants, a pool, a gym, a kindergarten, a conference centre, and an open-air auditorium. Jiaxing Island was designed by MORE Architecture and AIM Architecture and was completed in 2016. 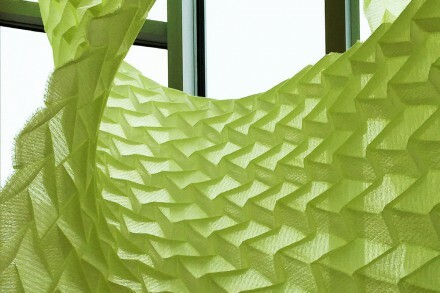 The sculptural flexibility of the 3D textiles allow for endless variation in the arrangement of the panels. 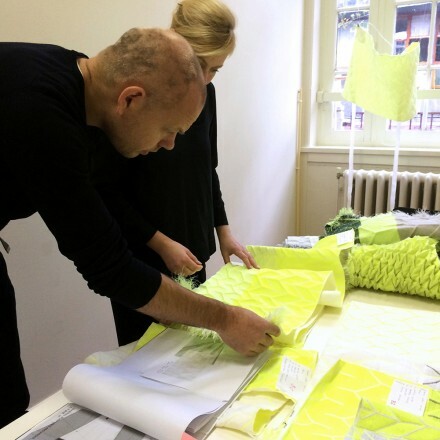 Daan Roggeveen (MORE Architecture) and Samira Boon doing material research. 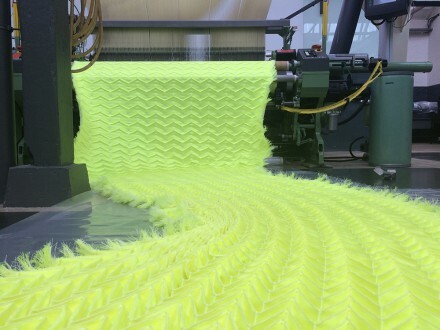 Production at the TextileLab, Tilburg, the Netherlands. 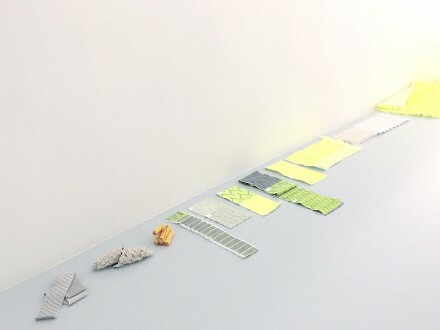 Backstage at the Di Yuan Gallery: the installation is being assembled.